Invitation suite design included: Save the Date Cards, Invitation Cards, Place Cards, Menu & bride and groom’s custom Monogram applied on Party Favors and decorations altogether. 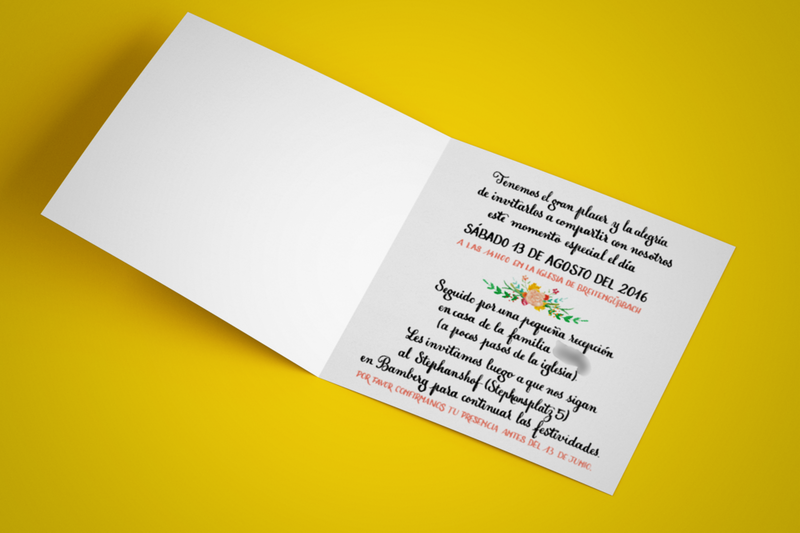 Save the Date Cards were lettered in 3 languages and then digitized to be sent via e-mail. Invitation Cards and Menus were custom illustrated with watercolors and calligraphed in the chosen Modern Calligraphy style in 3 languages (Spanish, German & French), then digitized and printed in a number of copies per language. 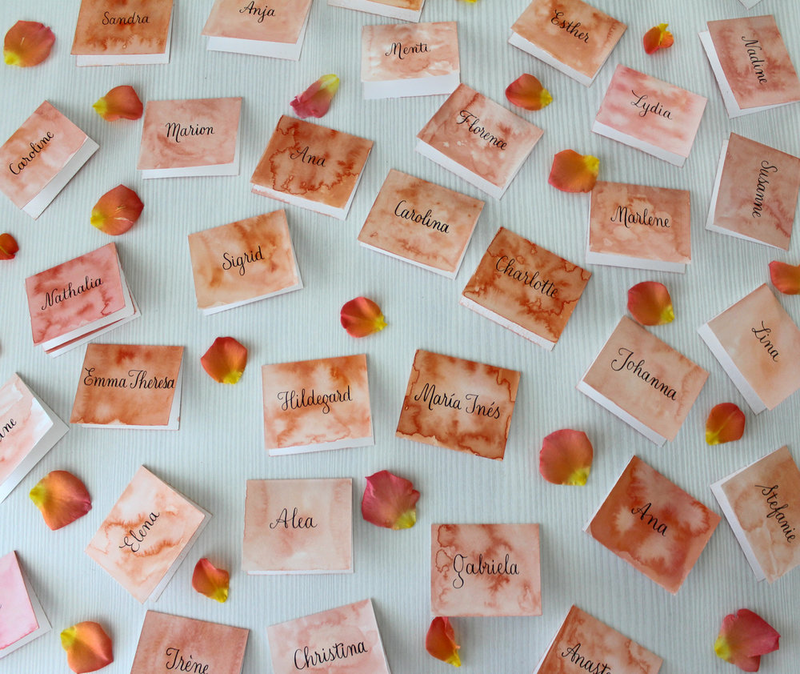 Place Cards were watercolored and calligraphed in the same style one by one.